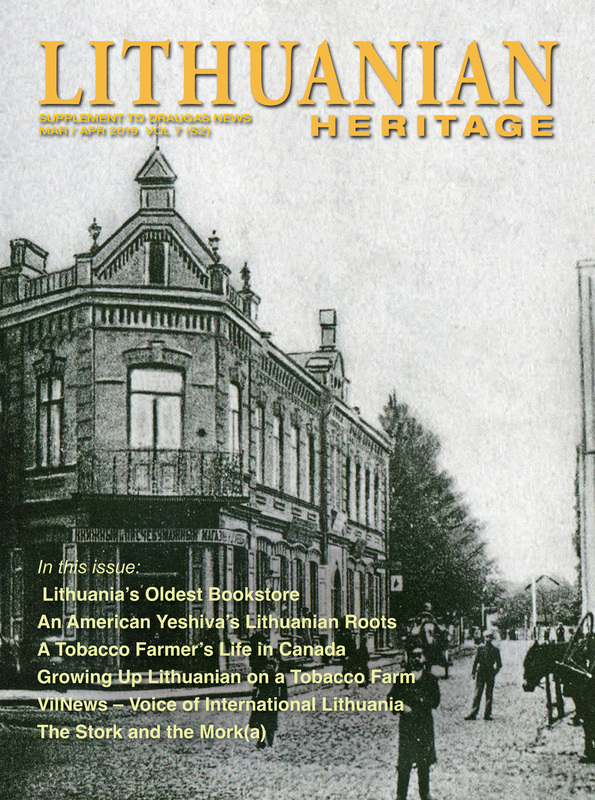 Many stories abound about early Lithuanian immigrants and colonizers in America. Some of these stories are undocumented, while others have some historical background that still needs to be researched. 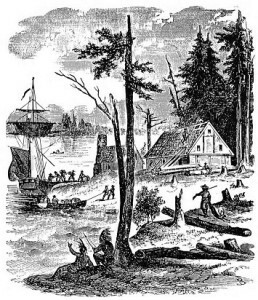 There are speculations that the first Lithuanians to arrive on the American continent were craftsmen in the group of colonists brought over by Captain John Smith in 1608. It is known that a group of Poles and Germans recruited from Baltic ports were in Capt. Smith’s group, and it is possible that some Lithuanians might have been among them. Other stories relate that among the colonists of the islands of Tobago and Guadalupe in the Caribbean there were Lithuanians who came from Courland in presentday Latvia. There is also a story which says that the Lithuanians of Guadalupe moved to mainland America, and on the banks of the Hudson River founded a colony which they called “Aušra” (Dawn). This colony was the beginning of the city of New York. In 1643, the governor of the Dutch colony in America stated that its capital New Amsterdam (present-day New York), had residents from eighteen different European countries. It is possible that Lithuanians were some of them. What we do know without a doubt, is that the earliest documented Lithuanian to come to America was Dr. Aleksandras Karolis Kuršius (Alexander Carolus Cursius – Curtius in Latin), a physician and educator. Dr. Kuršius was a scholar of vast learning and surpassed all his colleagues by his erudition. In addition to being the first physician and naturalist in America, he was also a theologian and jurist. And he was the first Rector of the first institution of higher learning in New York. There is no record as to when or where Dr. Kuršius was born, but it is known that he was a nobleman from Lithuania. In his youth he attended several universities. Available sources tell us that in 1652 he enrolled for the summer semester at the University of Leipzig, Germany, as a Lithuanian with a Doctorate in Theology and the Degree of Licentiate in Jurisprudence. He later worked as a professor in Lithuania. It is also not known where he gained his qualifications nor where in Lithuania he taught after leaving Leipzig. He did not stay in Lithuania very long. Possibly due to the Russian invasion of 1655, or for some other reason, he left Lithuania and emigrated to Western Europe. In 1658 the magistrates of New Amsterdam wrote to the West India Company in Amsterdam, Holland, informing them that the youth population of the colony was growing, and that, although the youngsters could read and write, their parents wanted them to learn Latin. They said they could not afford to hire a teacher, and asked if the Company would send a teacher at its expense. 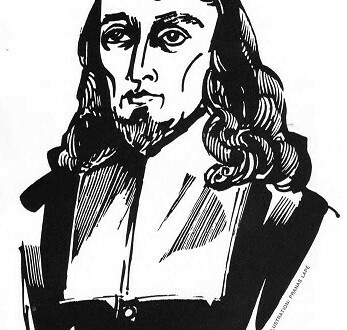 On April 10, 1659, the West India Company signed a contract with Dr. Kuršius engaging him as the first rector of the newly established Latin School in New Amsterdam. It was agreed to pay him an annual salary of 500 florins (about $200); moreover, upon arrival, he was to be given a gratuity of 100 florins in available merchandise. Furthermore, the Company promised to allot him a piece of land for a garden or orchard and to permit him to give private lessons, as long as they did not interfere with his duties at school. First settlement of New York, as portrayed in a 19th Century wood engraving. On April 25, 1659, Dr. Kuršius, a young bachelor, boarded the ship Beaver and departed for the New World. The journey lasted over two months and he arrived in New Amsterdam at the end of June. On July 4, he presented himself to the New Amsterdam magistrates at their meeting. He carried a letter from the West India Company to the colony’s Governor Peter Stuyvesant where it was written that, “Alexander Carolus Cursius, late Professor in Lithuania, was hired in Amsterdam on April 10,1659”. At that time he was given a present of 100 florins in goods and was told that a house and garden would be forthcoming. He was also told that in addition to his base salary, every pupil would pay him 6 florins per quarter. He was also permitted to practice medicine. He is considered to have been the first physician of any prom inence in the city of New York, although he did not re­ ” ceive his Medicine Doctor’s degree until 1662. It is worth mentioning here that the designation of Doctor of Medicine did not come into use in America until about 1769. The practitioner of the 17th century was either a chirurgeon, physician or barber-chirurgeon. 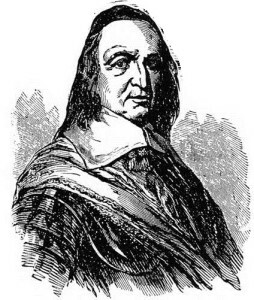 The idea of establishing a Latin School in New Amsterdam belongs to the Commissioner of the West India Company in America, Governor Peter Stuyvesant, who as early as 1652 raised the necessity of such school. At that time the city had 200 homes and a population of 1,500. The city’s magistrates favored this idea, hoping that the school might eventually become an academy or even a university. In 1658 the governor dispatched to the West India Company a request for a qualified teacher, and the school building was completed on the south end of Manhattan Island by the time Dr. Kuršius arrived. Later that year, fearing that the English were encroaching on the colony from the north, Governor Stuyvesant wrote to the Netherlandish ruler asking for “Good and responsible farmers, about 25-30 families, and 20-25 soldiers to protect them from the barbarians who are very strong and bold. So that this task can be accomplished in the shortest possible time, I suggest your Majesty send Polish, Lithuanian, Prussian, Jutlandish and Flemish farmers. I believe that because of the wars in the North and East, they would be easier to obtain and sent by way of the first available ships”. 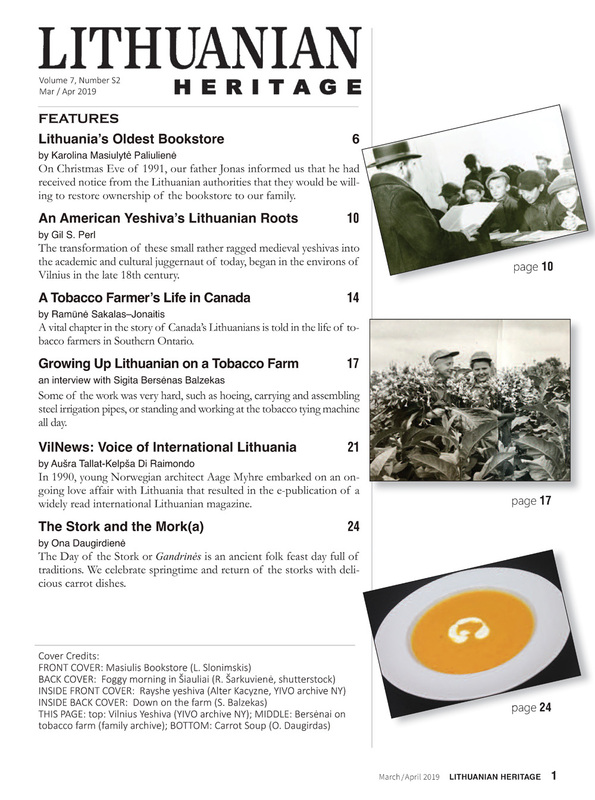 It is not known, how many Lithuanian families came to America as a result of this request, but it only proves that Lithuanians settled in the New World quite early in its history. Peter Stuyvesant, Dutch Governor of New Amsterdam. 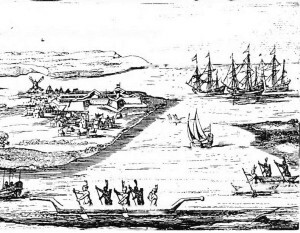 The first view of New Amsterdam (New York City) drawn about 1626, some 33 years before Dr. Kuršius arrived. In the foreground canoes of Manhattan Indians glide by. The Company’s directors refused the request replying that as long as Dr. Kuršius remained a single man, the salary was sufficient to support him. Later, it seems, he also had some type of personal disagreement with the Governor. In July, l66l, after more than two years in the New World, he resigned his post of Rector and returned to Europe. On December 27, l66l, Dr. Kuršius enrolled at the University of Leyden in Holland to study law and medicine. He was registered as a “Lithuanian nobleman” (Carolus Alexander Curtius Nobilis Lituanus, J.V.D. et Medicinae candidatus). He made his home at the Hertog van Venetien Hotel, “near the long bridge” (even today there is a street in Leyden called The Long Bridge). On July 15, 1662, Dr. Kuršius defended his thesis for the Degree of Doctor of Medicine, Disputatio Medica Inauguralis, de Calculo Renum ac Vesicae (Inaugural Medical Dissertation on the Kidney and Bladder Stone), which was published in Leyden in 1662. After defending his dissertation, Dr. Kuršius left Leyden. All further traces of his life are lost. Slight variations in Dr. Kuršius’ name are found in various records. At the University of Leipzig he is registered as Curtius. Upon coming from Lithuania to Amsterdam he calls himself Cursius. Later, in New York and Leyden, he again gave his name as Curtius. Lithuanians recognize his name as a latinization of. Kuršius, an inhabitant of the land of Kuršas (Courland), north of Lithuania. This name and its derivatives are still very common among Lithuanians.